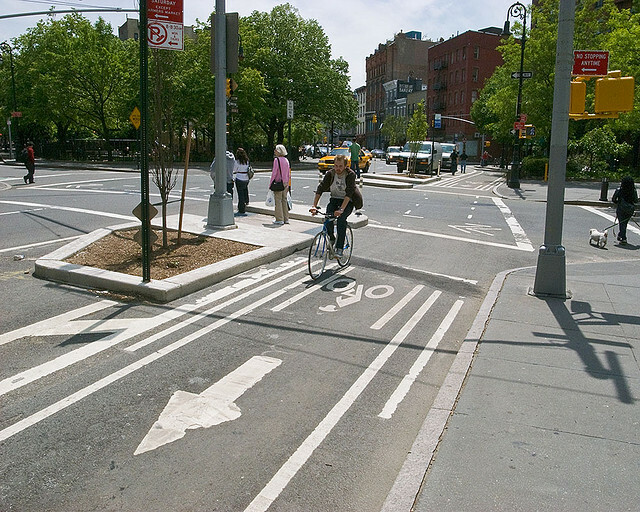 CityLab’s Eric Jaffe recently wrote a great article titled "When Adding Bike Lanes Actually Reduces Traffic Delays." In the article, he talks about how in New York City, smart street design has created more safety on the streets and more efficiency for all traffic. He presents before and after diagrams of multiple streets in NYC, all of which have improved efficiency of traffic and increased the number of bike riders. Those streets achieved this smart street design by adding protected bike lanes, as well as a parking lane, a bus lane and turn-only lanes in some cases.